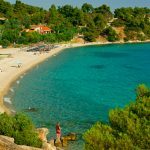 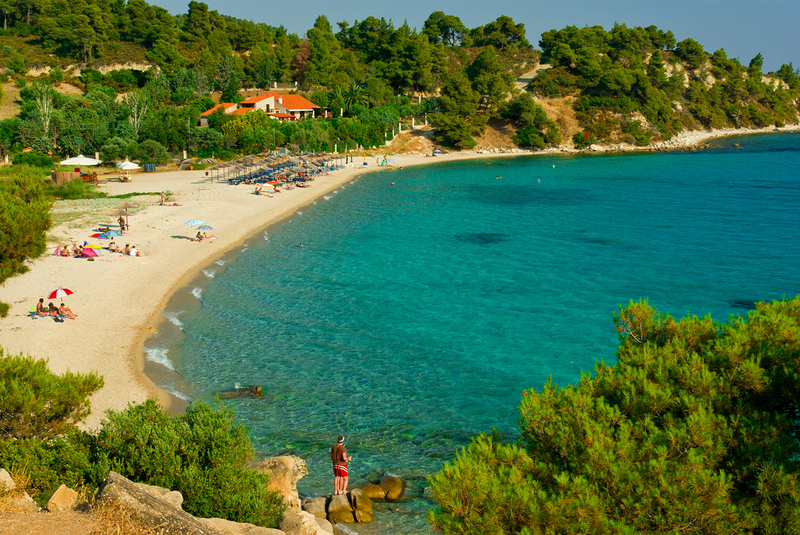 Koviou beach located between Kalogria and Agios Ioannis, is a small thought a delightful spot, ideal for families and children. 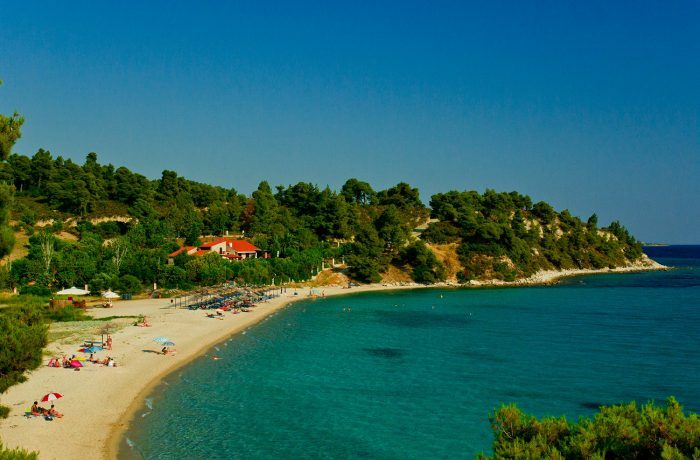 It has soft white sand and shallow warm waters surrounded by lush vegetation. All tourist facilities are available while the place is perfect for snorkeling.